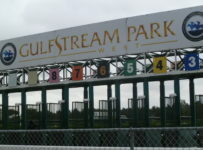 Gulfstream Park has a 12-race card on Sunday, with first post of 12:45 p.m. 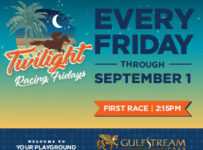 The featured 11th race is the $50,000 Groomstick Handicap at six furlongs on dirt for three-year-lds and up. 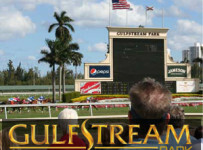 On Monday, Gulfstream will have a special Labor Day racing program with first post of 12:45 p.m.
Thhe feature fourth race is The Vid a $50,000 Handicap at 1 1/16 miles on dirt for three-year-olds and up.